Jim and Rita Stephenson fell into selling vintage buttons entirely by chance. Back in 1989, roadworks thwarted their plans for a family day out. Instead of an afternoon at the seaside as they had intended, they found themselves in an auction house that was selling postcards and buttons. "It was a big factory, I looked around for my wife Rita, and the sun was shining through on to her face and she had a handful of buttons," recalls Jim. "She had a look about her that I hadn't seen since my wedding night and she fell in love with buttons. After that we just packed up our general antiques business to concentrate on buttons." Vintage buttons are a growing business. 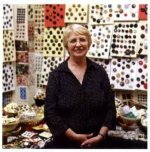 There are annual trade fairs in the United States, and the American Button Club boasts over 4,500 members. Buttons have something of a royal history, according to Jim. Queen Elizabeth I is recognised to be one of the first button collectors, and King George III has also been linked with the trade. "There are two types of people: those who notice buttons, and those who don't. 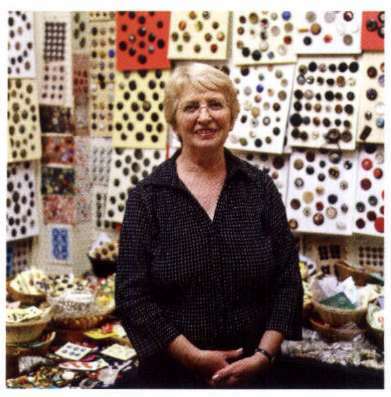 There's a woman who flies over from New York every three months just to buy buttons." "People can remember buttons because they have associations with them from when they're children," adds Rita. "Every button has a story."